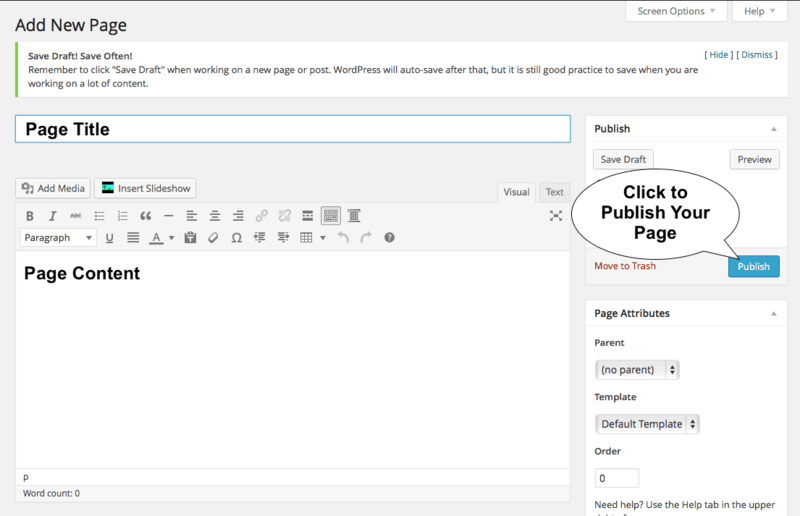 By default, WordPress is set up to be used for blogging. The front page lists your posts in reverse chronological order. However, WordPress can also be used as an effective Content Management System for small websites. To use WordPress for a website, most of your content will be created in Pages instead of Posts. Pages are used for static content that is not time sensitive like a Post. Your Posts will be displayed on another Page. We have more information about Posts vs. Page on our Hints and Tips page. Before you begin, you should think about the type of content you want on your website. You may have only a few pages, or you may have a lot of content that needs to be organized. Planning ahead will save you some time as you create the site, making it easier to manage and making it easier for your readers to find your content. You will need to have at least two pages. One will be your Home Page and the other will display your Posts. Create and publish a new Page with your home page content. This will become your front page. 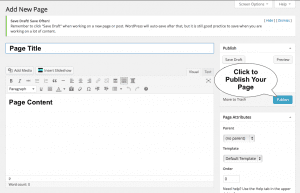 Create and publish a new Page to hold your Posts. 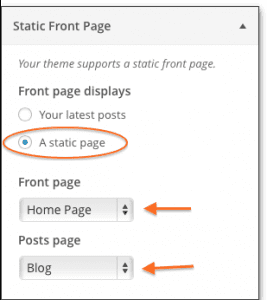 This page will act like the default front page of a blog and display your recent posts. You may use this for a blog or for news items for your website. 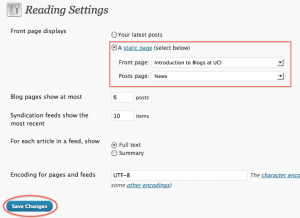 Type in a Page Title like Posts, Blog, News, etc. Do not put any content in the body. 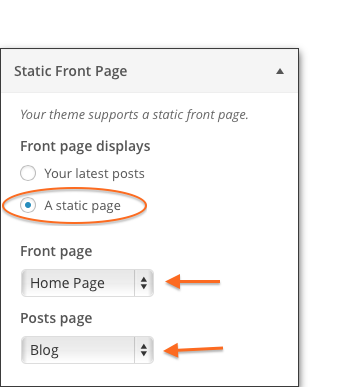 One way to set your static home page is to use the Customize tool. 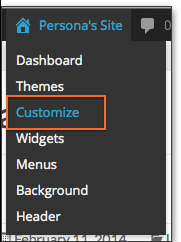 From the Admin Toolbar, select your site name and choose Customize or go to Appearance > Customize. Select the page you want to use as your front page. You can preview what this will look like in the Preview pane on the right. 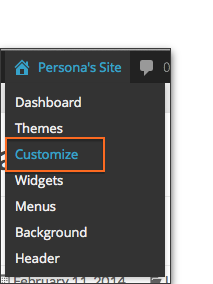 Click Save and Publish at the top of the Customize tools. Change “Front page displays” to “A static page“. From the Front page drop-down menu, select the Home Page you created above. 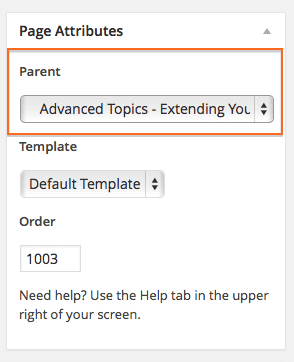 From the Posts page drop-down menu, select the Posts page you created above. Your site is now set up to show a static front page. Posts will show up on your new Posts page as news items, blog postings, etc. You can continue to create new pages for your site. To keep your site organized, consider creating sub-pages or child pages, by using the Parent drop-down menu in the Page Attributes panel when creating or editing pages. The drop-down menu contains a list of all the Pages already published for your site. 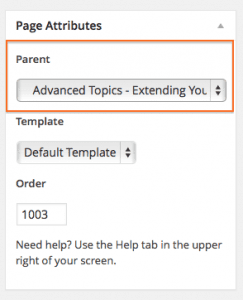 To turn your current Page into a SubPage, or “Child” of the “Parent” Page, select the appropriate Page from the drop-down menu.